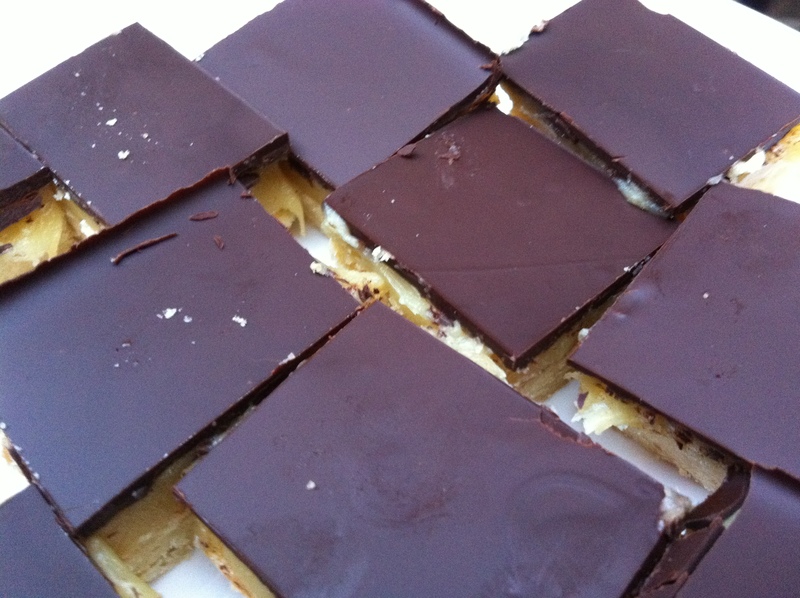 Just over six months ago, on 27th February, I penned my very first post as thelittleloaf. Since then I’ve had a wonderful time in and out of the kitchen, baking, bread-making, testing different recipes and trying new restaurants. 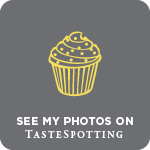 I’ve also discovered some fantastic food blogs which I return to time and again; for their exciting recipes, for their satisfying stories, or to simply gaze at their stunning photos. 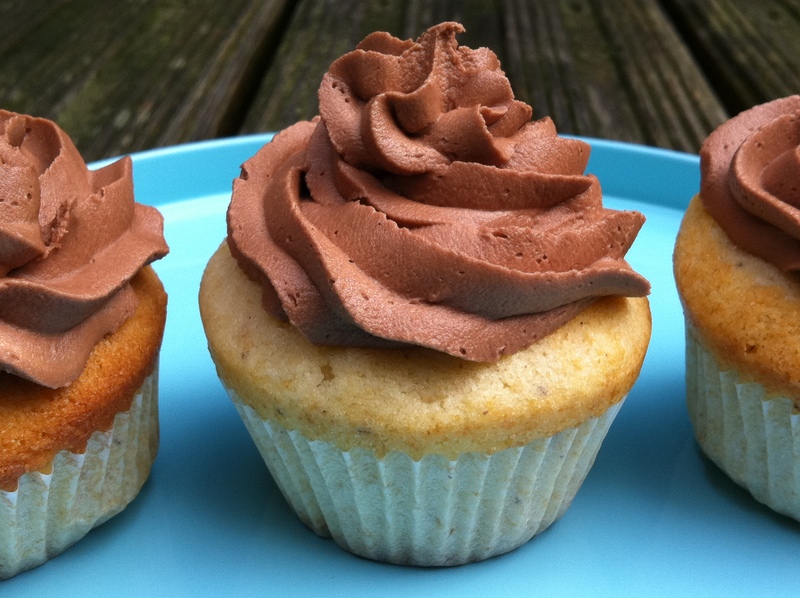 My most beautiful post: As it contains my first ever set of photographs to be accepted by Tastespotting (I seem to have better results wielding a wooden spoon than clicking my camera), I had to choose my Hazelnut cupcakes with dark chocolate buttercream. I took the pictures outside on a beautifully sunny day using the pale blue tin I’d stored them in as a prop. For once, I was quite pleased with the results; the delicate, pale cupcake contrasting against a thick, dark frosting just begging you to sink your teeth into it . 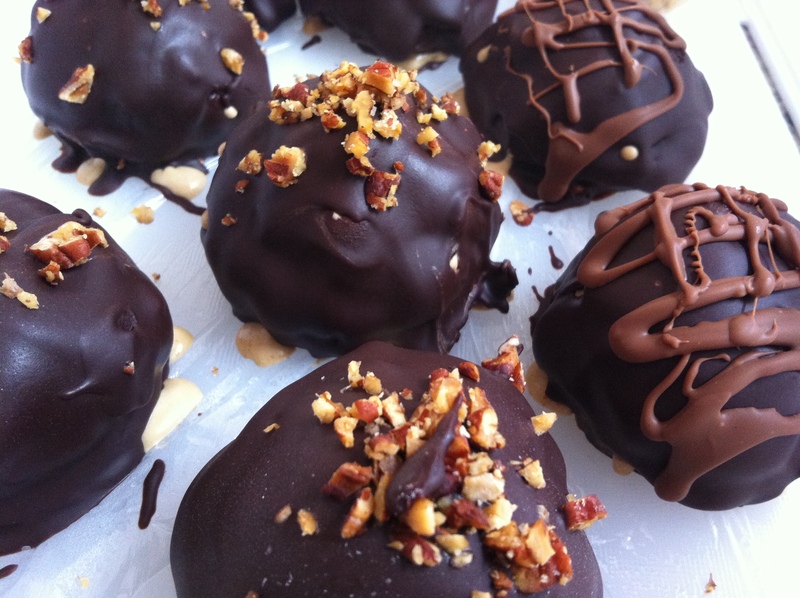 . .
My most popular post: Hands down, this goes to my Butterscotch pecan ice cream tartufi; little balls of blissful, buttery ice cream cloaked in glossy dark chocolate and studded with salty-sweet nuts. The day I posted this recipe my site visits went through the roof, and I even got an awesome comment from my all-time ice cream guru, David Lebovitz. Which made me do a little dance of joy. My most controversial post: Mostly focusing on all things baked and delicious, thelittleloaf doesn’t rank high amongst the most controversial blogs out there. However, as I have to pick one, I’m going to go for my Flourless chocolate mousse cake. 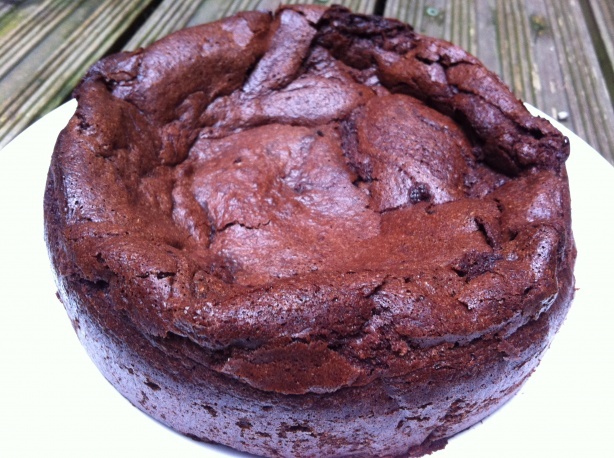 Not for the recipe itself – you can’t really object to fudgey, flourless chocolate cake – but because I included a brief review of Rachel’s Organic products, and queried whether bloggers should accept foodie freebies. This question always seems to split the blogger camp, and certainly sparked a lively debate. My most helpful post: This is a very simple one, but I see a lot of traffic to it direct from Google search. 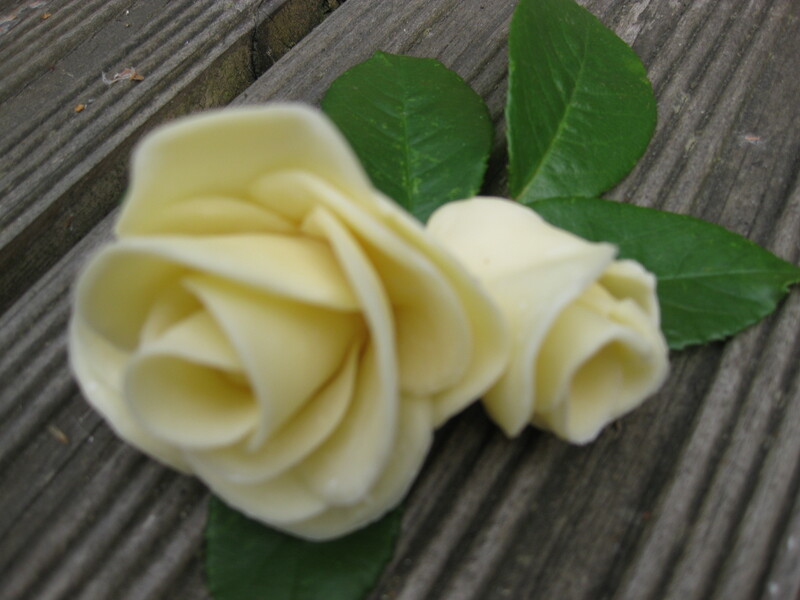 How to make chocolate roses does exactly what it says on the tin, and is inspired by some great advice from Ruth Clemens of The Pink Whisk, and a little tutorial I found on Cake on the Brain. My most surprisingly successful post: I suppose it’s not that surprising, but chocolate birthday cake seems to be an enduring classic that people just can’t get enough of. My Simple chocolate birthday cake with white chocolate frosting is rich, delicious, easy to make, and a post that’s stayed popular long after I published it. 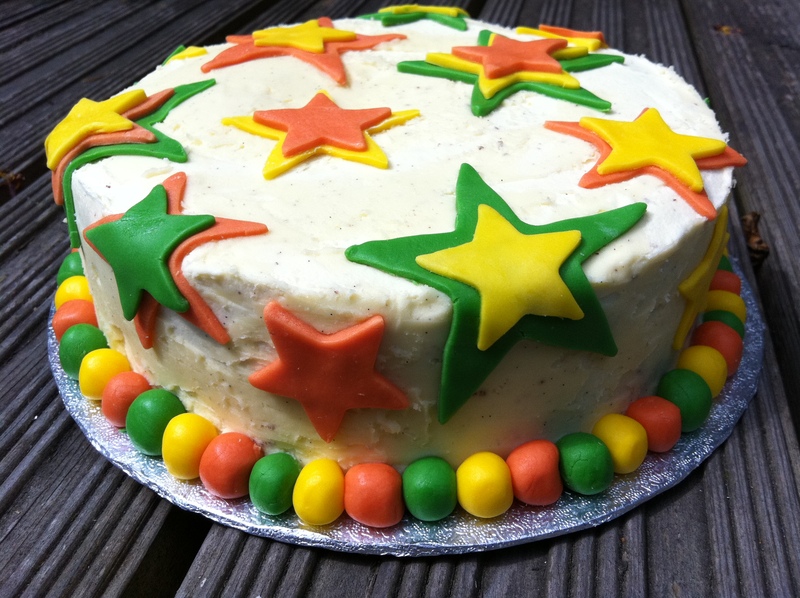 A great go-to birthday cake recipe. My most under-rated post: I was slightly surprised not to get more views for my Chunky chocolate, raisin and walnut cookies. It’s one of my all-time favourite classic cookie recipes, so hopefully including it in this challenge will give the recipe a new lease of life! The post I’m most proud of: Having embarked on a journey of baking discovery, and once I’d mastered a basic loaf, my thoughts turned to the more adventurous. 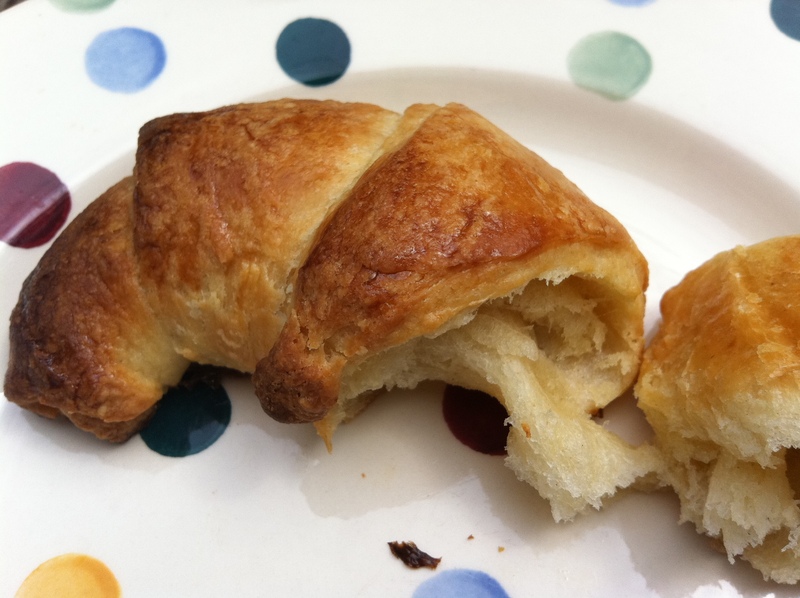 The recipe for these Homemade croissants comes from The River Cottage Bread Handbook – if you love bread and don’t own a copy I suggest you run out and buy one right now – and produced pastries which were flaky, buttery and better than anything I’ve ever bought in the shops. And they actually ended up looking like real croissants! One of those moments when baking makes you feel a little like a proud mum. Now that I’ve completed this fun – if slightly self-indulgent, challenge – it’s time to pass it on. The five blogs below are ones I’ve particularly enjoyed reading over the last few months; a mixture of the witty and the wonderful, with stunning photos, helpful hints and quirky comments, all embracing the joy of food. I hope they enjoy the challenge as much as I did. Thank you so much for tagging me! I’m really looking forward to doing my own list and I can’t believe I missed the cookie post before; WANT! My pleasure – I love reading your blog 🙂 Just read your post ’10 things I’ve learnt about blogging’ – it all rings so true. So nice to find like-minded foodie obsessives out there! I can’t believe you’ve only been going six months! You’re too damned good. I think I was still trying to take a decent snap and use WordPress properly as that stage. I look forward to our 7 posts now! Ah, you’re too nice! I really want to invest in a proper camera soon – currently take snaps with my iPhone but sticky fingers and posh technology don’t mix…one of these days it’s going to disappear in a vat of molten chocolate… 🙂 Really looking forward to reading your 7 posts in due course. An incredibly delicious looking round up of great posts! The flourless chocolate cake looks heavenly and how lovely that David Lebovitz commented on your tarfuti post, it was well deserved. Its been nice to discover the blogs you have listed into the challenge too. Thanks Mandy 🙂 I was so excited when David Lebovitz commented on my post…The Perfect Scoop is my absolute ice cream bible! I had to think quite hard about which blogs to include in the challenge – these are the ones I seem to return to time and again. I’ve just discovered your blog, and I’m amazed with your recipes, and can’t wait to try some of them! Hi! I really liked this post. You said the challenge was self-indulgent in a way, but your voice came off quite humble to me. As someone who started a blog very recently, it’s really exciting to see that you’ve been at it only 6+ months and have such fantastic content. I am looking forward to reading more! Katherine (www.eggton.com, a food blog about moving to Alabama and making dinner). Aw thank you 🙂 I can’t decide if it only feels like yesterday I started blogging, or if it feels like I’ve been doing it forever!